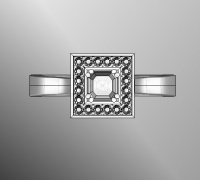 Francesca and Andrew will work closely with you discussing your design ideas, personal preferences, choice of metals and diamond qualities. 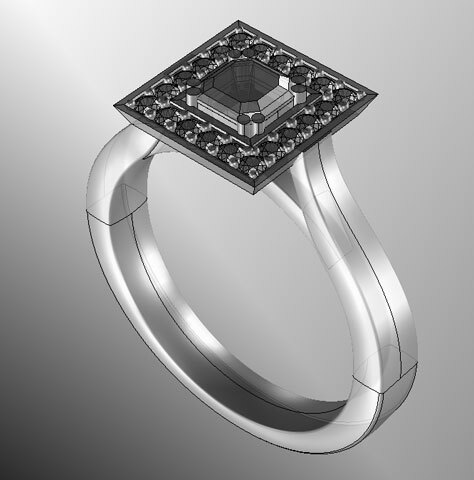 Feel free to bring along a sketch of the piece of jewellery you have in mind, or photographs of various pieces you like elements of. 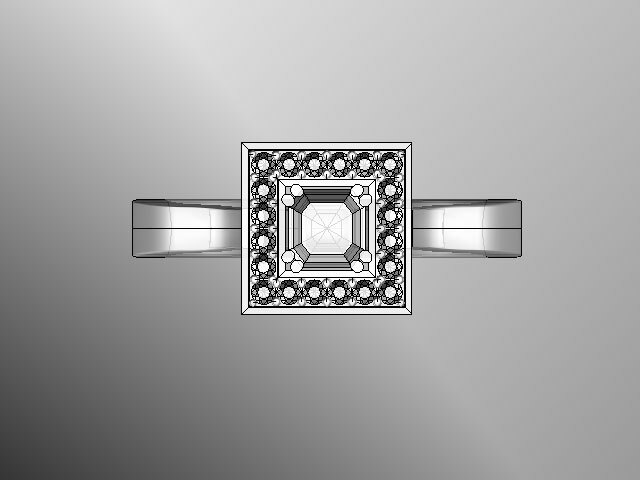 Whilst clients are in store they are able to try on various styles and decide on which aspects of various designs that they like. 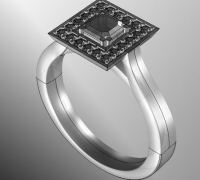 We may also be able to show you photographs of pieces that we have recently made that display design elements of the piece that you are envisioning. 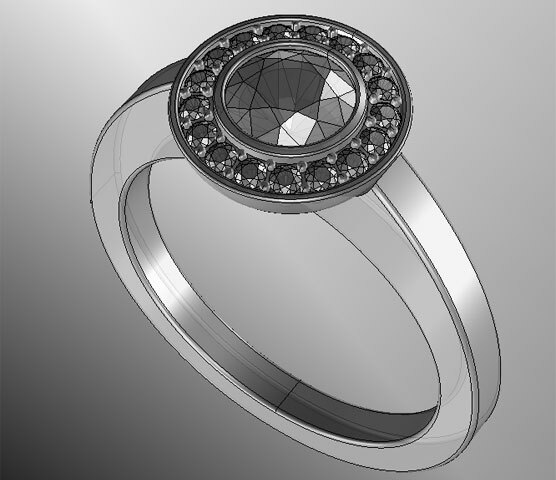 Together we will incorporate our design ideas and sketch design variations for your custom made piece of jewellery. That way we are able to create a piece of jewellery that exhibits all of your desired features. 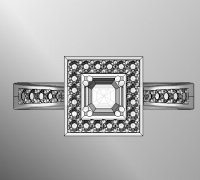 A princess cut or a round brilliant cut diamond as the center piece to their diamond halo engagement ring. 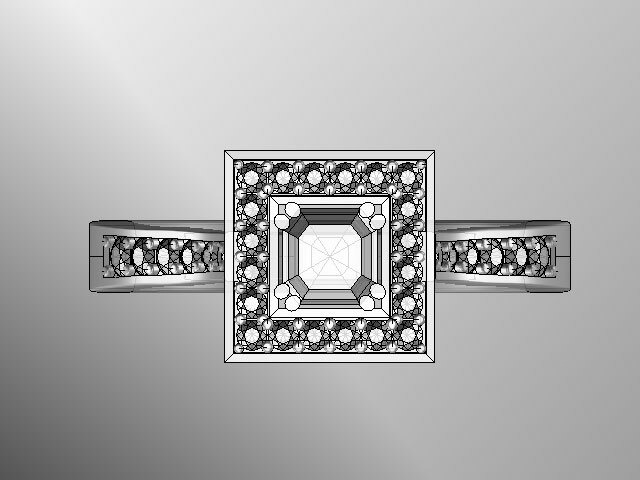 If they wanted a solitaire setting, or diamonds down the shoulders of the band. 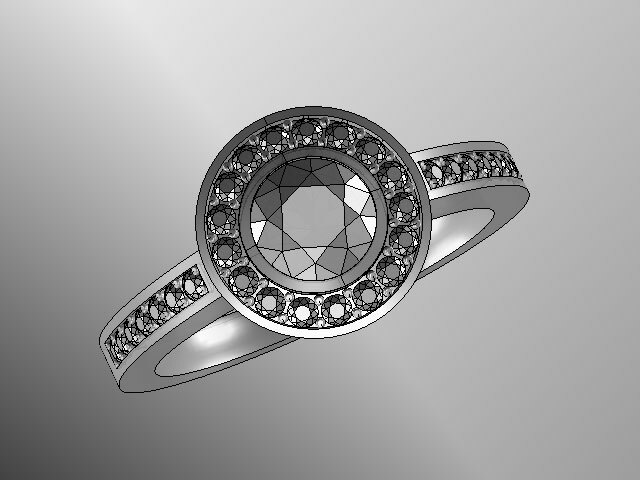 Whether they wanted the center diamond to be claw set or bezel set. 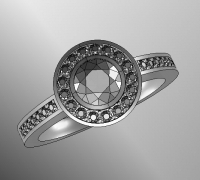 Design options of how the ring could be made so that it could be worn against a straight wedding ring, rather than a fitted wedding ring.